Get museum quality and great design at affordable prices. At Baas Framing Studio, Seattle, we create beautiful custom matting and framing solutions – shadowboxes, rustic frames, vintage-style frames and modern metal and acrylic frames. Bring your design ideas or let our experienced team show you options. We can problem-solve complex projects or help you simply get a new piece of art onto the wall. Baas Framing Studio features a broad selection of framing choices for every style and budget, including Larson Juhl frames, Nielsen frames, Picture Woods, Roma frames, 100% acid-free cotton Crescent and Bainbridge mats. We offer museum quality conservation materials to protect your artwork from damage by light, dust and moisture. Count on our staff to design unique mounting, matting and framing solutions for all of your needs – treasured objects, textiles, photographs, posters, prints, diplomas, paintings and collectibles. 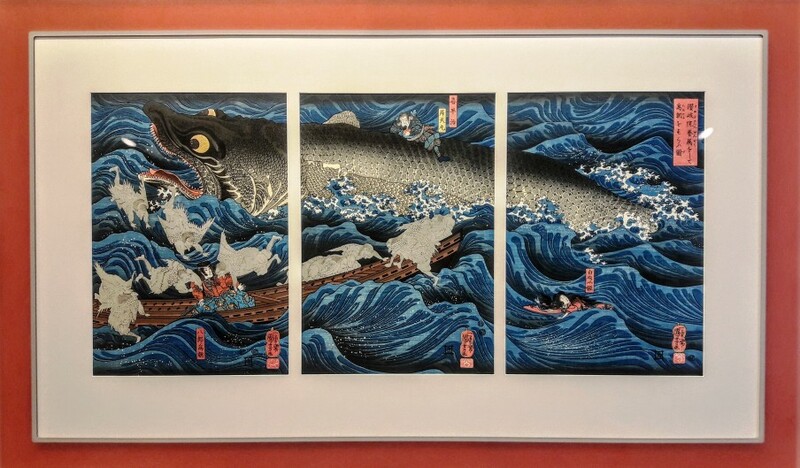 This trio of Japanese prints is given a contemporary treatment with float mounting, Museum Glass and a Prisma cast acrylic frame in “watermelon”. Elegant and fun! Contemporary Art Needs Contemporary Framing! We chose a white cube molding and clear Conservation Acrylic glazing for this large painting on paper. Float mounting adds dimension for a clean, modern look. Artwork by Warren Dykeman of Seattle, WA. From the font to the color, this poster is a design icon. And check out the list of artists! We went for a classic black and white look -- you can't go wrong there. Conservation glass adds gloss and UV protection. Our client really wanted a unique, custom solution. They came to the right place! We used black and white lacquer molding joined in the center with pegs to create this sharp frame design. A classic image of a jazz musician is set into a deep violet mat and surrounded by a glossy black frame. Reflections are softened by non-glare Conservation Glass with UV filtering properties so the poster will not fade. This fantastic portrait is given gallery treatment with a wide white mat and walnut frame to pick up the warm tones. Museum Glass completes the project to protect it from UV light damage and minimize reflections. Posters benefit from mounting when possible so they can be displayed with a consistent, flat look. 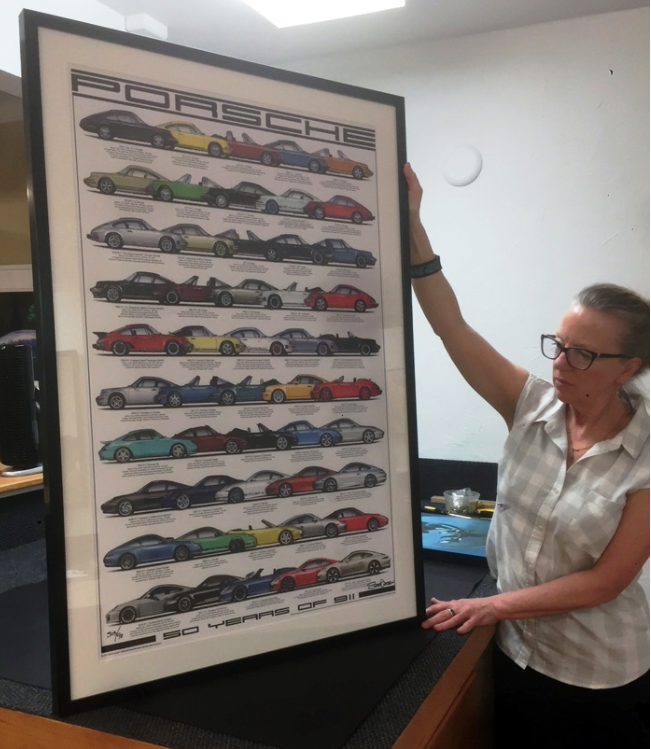 After mounting this poster, we added a white mat and high-quality Conservation Clear Glass to the brushed metal frame for a classic sporty design. We always enjoy framing ketubahs and other wedding documents such as invitations, vows, and photographs. 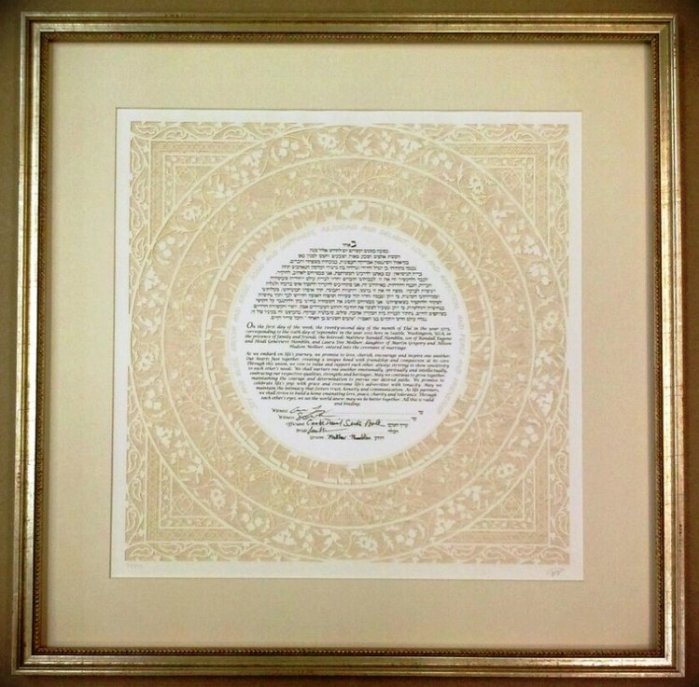 This ketubah featured delicate laser-cut paper and had to be handled carefully. The warm-toned mat extends the colors in the design, and Conservation Glass protects signatures from fading. This modern watercolor painting by a Northwest artist demanded a simple design. Since it was painted to the edge of the paper, we chose float mounting to see the whole sheet. Music posters make a fun addition to a media room or casual office. The glossy black frame adds a little rock & roll touch to this simple design. 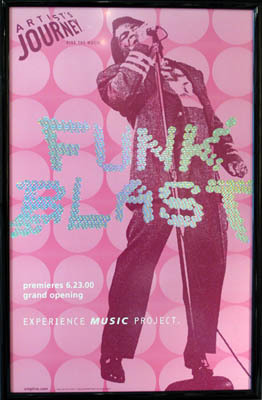 Conservation Non-Glare Plexiglas protects the poster and can be safely placed on the art. Don’t Want a Frame? Try This Clear Acrylic Solution! A sandwich of clear acrylic with polished edges holds a print in the center. This design works well for small to mid-sized pieces where no frame is desired.